Simcan is pleased to announce that the Canadian Podiatric Medical Association (CPMA) has awarded it’s Seal of Approval to the full line of Simcan Health Brand socks. 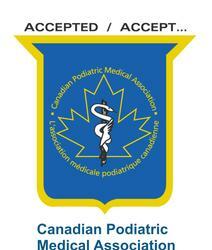 The Canadian Podiatric Medical Association is a non-profit organization representing Canada’s leading foot care specialists and is dedicated to enhancing the profession of Podiatry as well as increasing awarness among Canadians of the importance of good foot health care. Following a thorough review of the Simcan Health Brands and their benefit to general foot health, the CPMA committee has deemed that the Simcan Health Brands meet all of it’s requirements necessary for carrying the CPMA Seal of Approval. We are honoured to carry this important endorsement of our premier line of health socks and will continue to promote foot health education to the public.